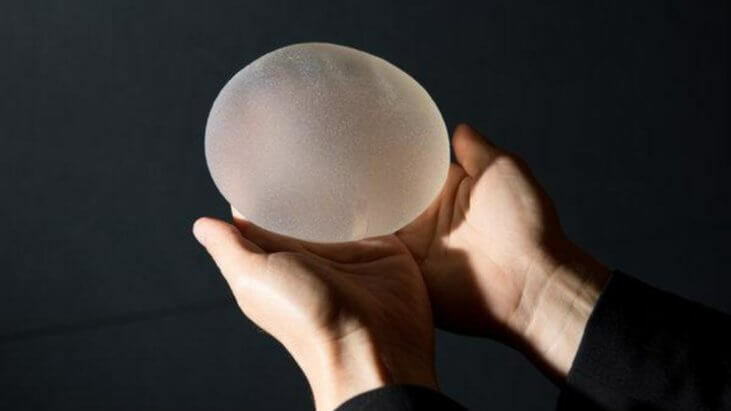 “I find it very hard to find a compelling reason to use textured implants,” Dr. Alyssa Golas, plastic surgeon at NYU Langone Health told SurvivorNet. At the Food and Drug Administration’s hearings on textured breast implants and the risk of causing cancer, patients who were diagnosed with cancer after receiving breast implants told their stories to an FDA panel. “Cancer was not a choice, and we sure as heck didn’t elect to get it,” Dawn Criss of Alberta, Canada, told the panel. Six years after receiving textured breast implants, Criss was diagnosed with BIA-ALCL, or a very rare type of breast-implant-related cancer, according to NBC News. By definition, a textured implant is different from a smooth implant because it has a rougher surface, and it doesn’t move around in the body. A lot of women who have been diagnosed with BIA-ALCL have expressed frustration with the lack of warning they received about the cancer risk when receiving their textured breast implants. The FDA’s two day hearing on the topic of breast implants and their risk of causing cancer provided a forum discussion. But it’s also important not to worry too much if you’ve had textured breast implants, according to Dr. Golas. “ALCL is a very rare type of cancer, that’s been found to be associated with a specific kind of implants, meaning textured. So as long as you stay away from those, there is very little reason to worry,” she says. When asked what makes textured implants increase the risk of cancer, Dr. Golas says it is still unclear. “There are some studies about it now — maybe something to do with chronic inflammation. But there is a lot of research happening right now to try to answer that question,” says Dr. Golas. The Food and Drug Administration has acknowledged that it has known of a potential relationship between breast implants and increased risk of ALCL since 2011. Now they’ve updated that information. “In addition, it is difficult to determine the total number of cases or estimate risk from the MDR reporting system due to potential under-reporting of events, possible duplicate reporting, and lack of data about the exact number of breast implants,” the FDA warned.